Finally, a Nintendo Switch version of Spintires: MudRunner is currently being worked on. We don’t have much more to say about this right now, but it is coming, and we’ll have more news about it in the future! 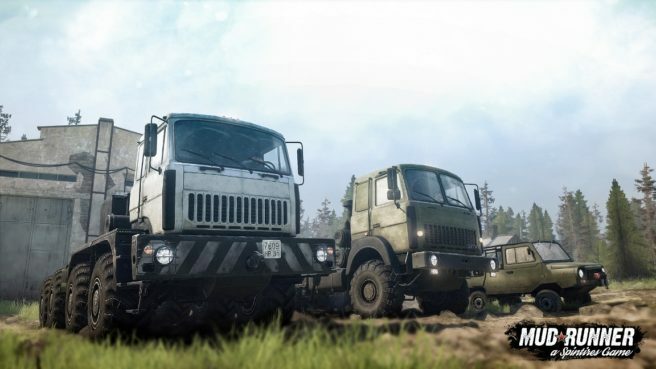 Spintires: MudRunner primarily involves exploring sandbox environments in all-terrain vehicles, and completing various objectives along the way. Continue on below for more on Spintires: MudRunner, including a trailer.